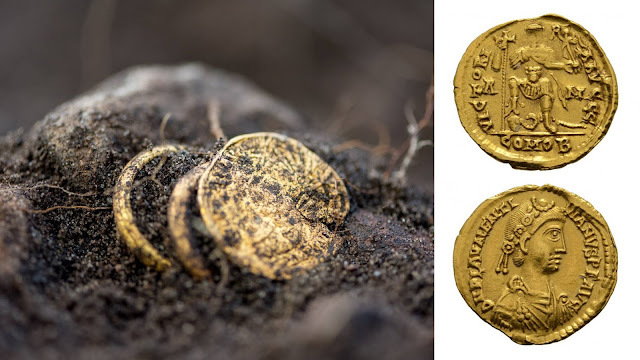 A gold coin and two rings were found buried at Öland, an island and province of Sweden. It is considered a significant find, as it provides more insight on the history of the area, specifically a massacre which took place there in the 5th century. Archaeologists Sophie Vallulv and Clara Alfsdotter said that it also confirms a theory that the island was acquainted with the Roman Empire. The coin was minted in honor of Western Roman Emperor Valentinian III, who ruled between 425 and 455. On one side of the coin is an image of the emperor resting his foot on the head of a barbarian. The other side contains an image of the head of the emperor. 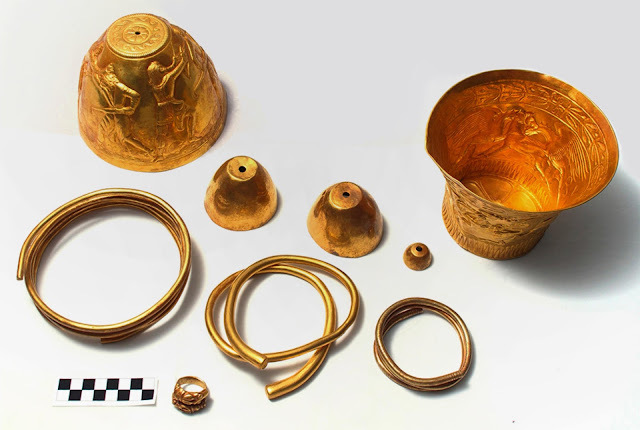 The gold rings are mysterious, as they belonged to a woman, but all of the bodies uncovered in the area where that of men. Helena Victor, the archaeology project leader said that the property where it was found may have belonged to a headman or minor king.